One of the great areas that I work on with corporations all over the world is called value selling, or the customer value offering. Value selling says that customers buy your value or service because they anticipate enjoying a value that they would not have in the absence of your product or service. People don’t buy products, they buy the results the product will give them. Sell the value and the benefit of your product or service to your customer. Focus on explaining and expressing how it works for the customer. If you focus on the value, the price becomes less and less important. If you don’t focus on value, the only thing you can talk about is price. The research says that the value is the difference between the price you charge and the benefits the customer perceives they will get. If the customer perceives they will get a lot of benefit for the price they pay, then their perception of value is very high. So you can control that. Teach people how much they will benefit, how much your product or service will help them, and all of the things your product or service can do to help them achieve their goals and solve their problems. The more you focus on these values, the less important price becomes. Value selling is a sales technique that leverages customer anticipation of enjoying the benefits of the item for a sale. With this approach, the sales conversation focuses on how the buyer’s life will be improved with the asset at hand, rather than the actual features and hard-facts related to the product. Here are a few actionable items you need to do to ensure you’ll get the sale. 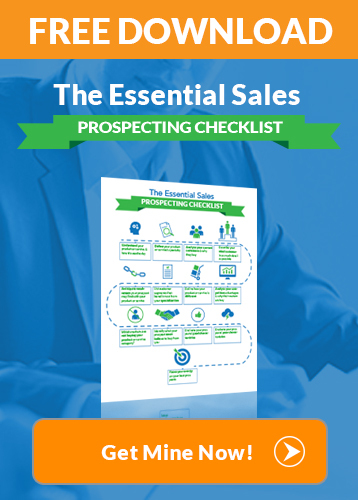 Get my free essential sales prospecting checklist to help identify the exact people you should be selling to. 1) Who Will Buy Your Product? Then create a customer avatar based on this information. How old are they? Are they male or female? Do they have children? How much money do they make? What is their level of education? Once, you’ve done this, you’ll be able to move onto the next step which is identifying your ideal customer avatar’s problem clearly. What kind of problem does your customer have that you can solve? If you have identified your customer correctly, these people will pay you to solve their problem. Sometimes the problems are obvious and clear. Sometimes the problems are not obvious or clear. Sometimes the problems do not exist for the customer. If the problem does not exist, the customer will not buy your product. Finally, make a list of all of the benefits of your product or service and the ways it will solve your customer’s problems. The more benefits and solutions you can clearly provide to your customers, the less they will be able to deny your product will solve their problem. Those are my strategies for selling value versus selling price. Be sure to spend lots of time reading more motivational sales quotes like the one above to stay at the top of your game. 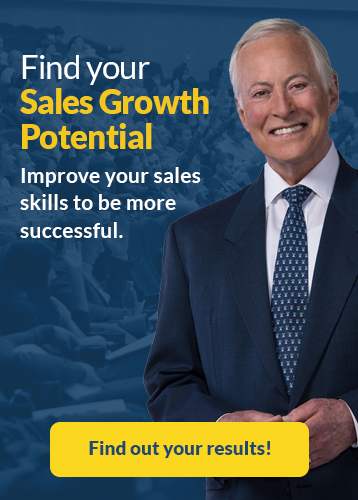 They’ll help you stay focused on effective value selling techniques and – best of all – they’ll help you maintain a positive attitude in any sales situations. Your sales team and coworkers will always appreciate it if you share useful resources with them. Just let them know the value that’s in it for them… more sales! Now I’d love to hear from you. What other tips do you have on how to show value to your customers? 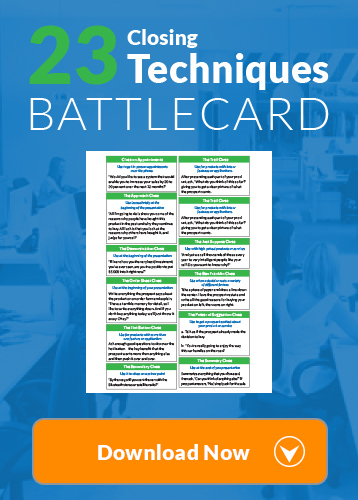 If you’d like more closing techniques like selling value, click on the button below to get my 23 Closing Techniques Battlecard.